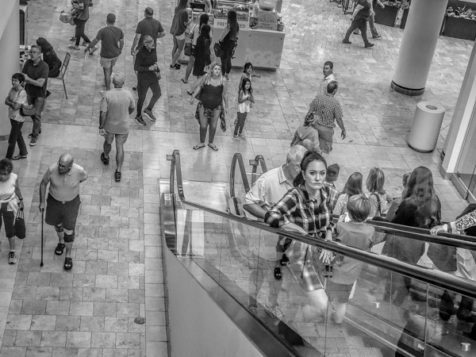 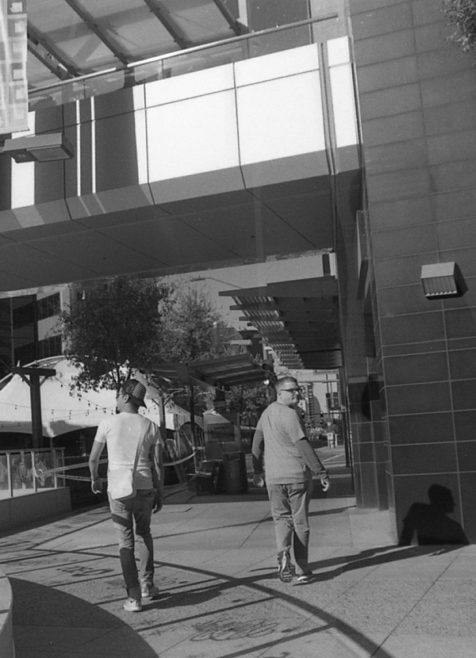 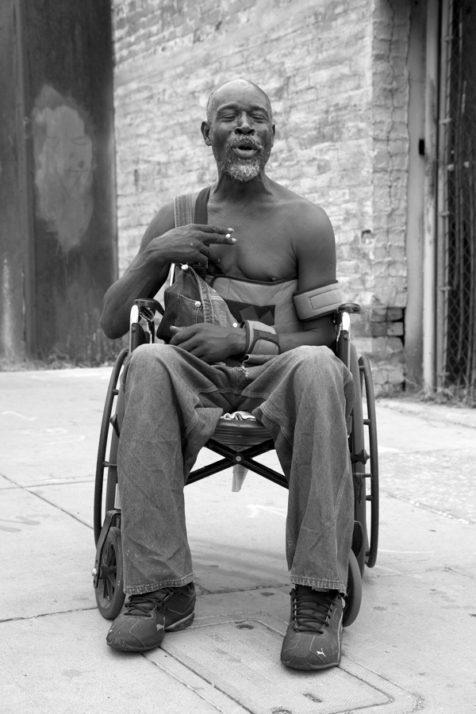 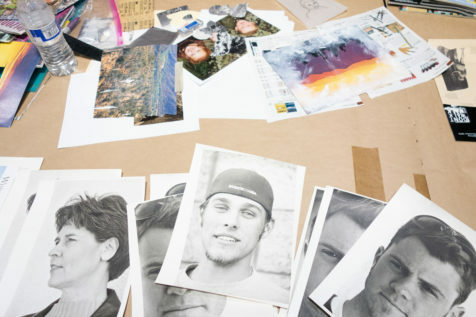 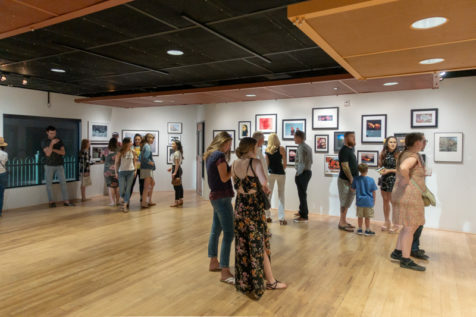 Emerging, student photographers exhibit their work in the Art Intersection annual exhibition, Emerge. 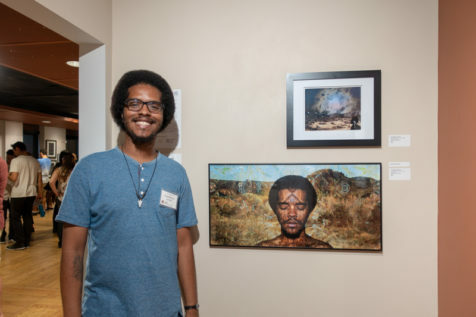 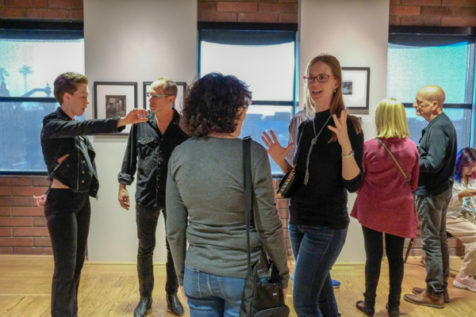 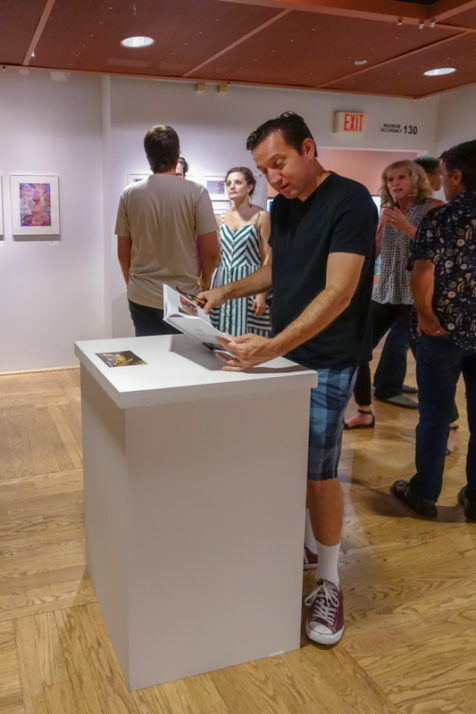 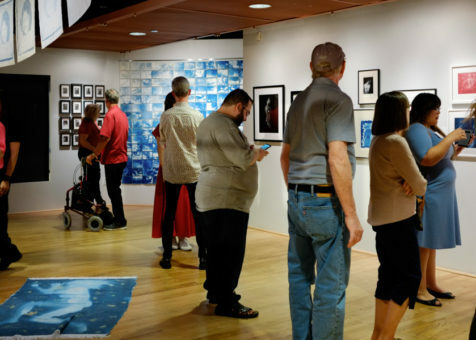 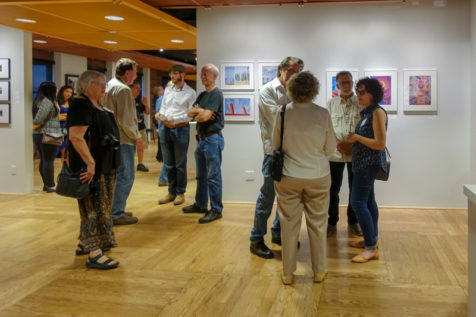 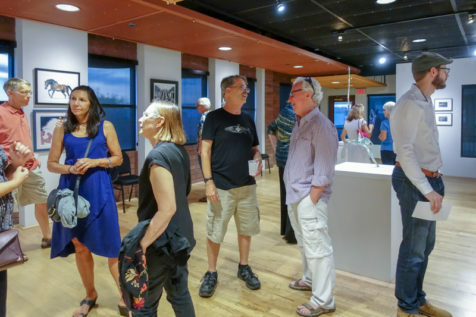 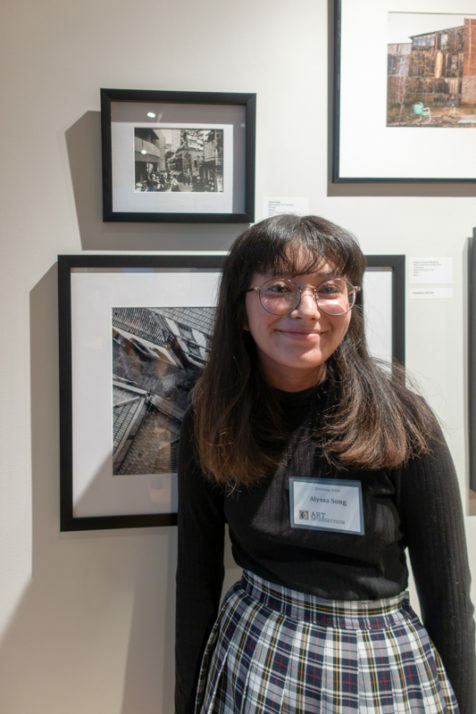 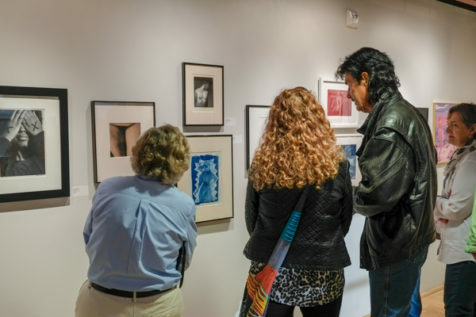 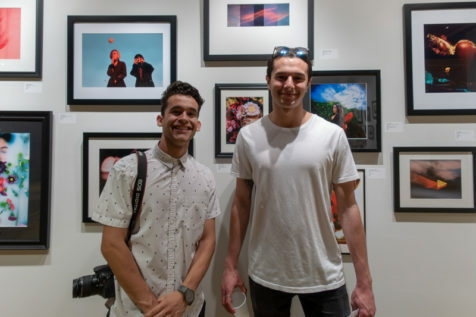 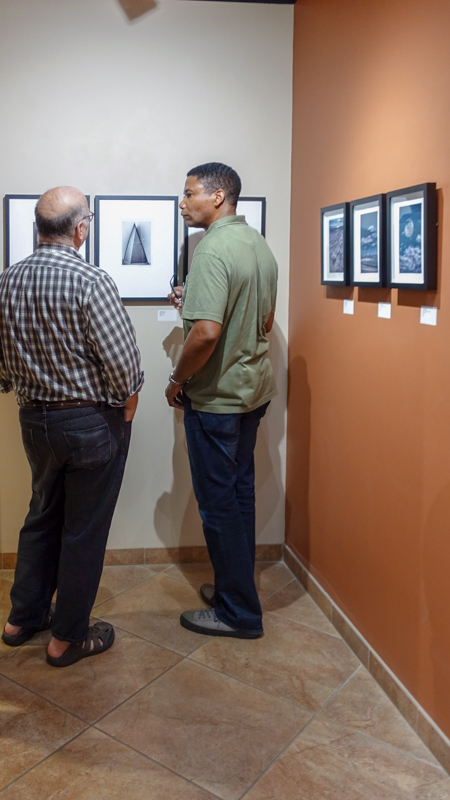 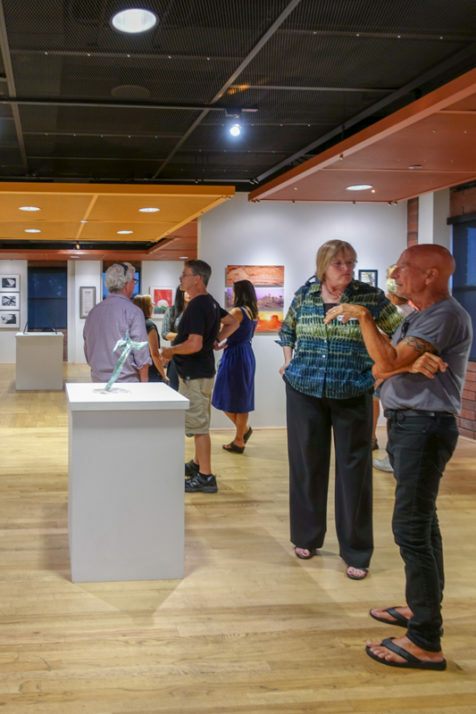 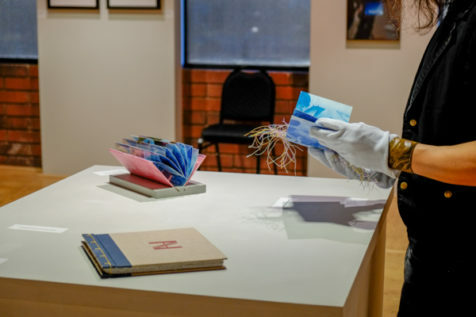 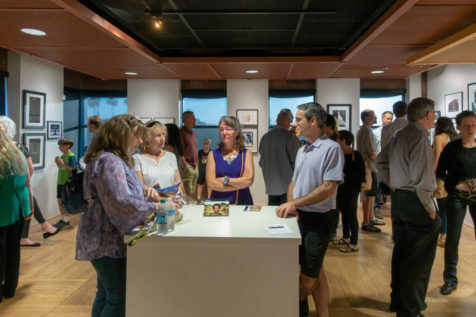 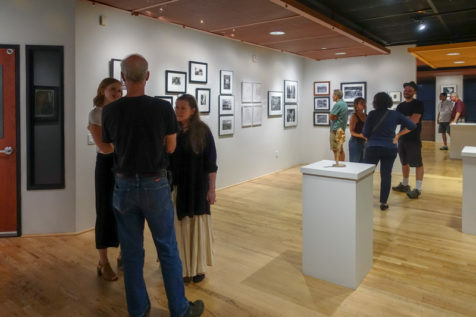 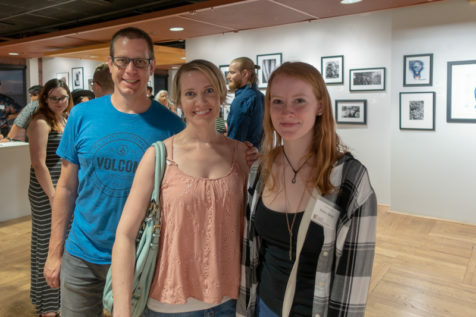 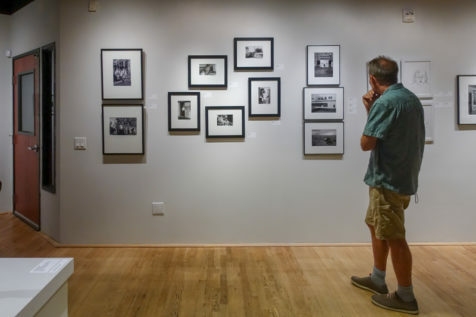 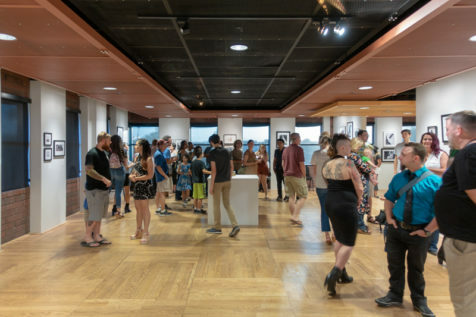 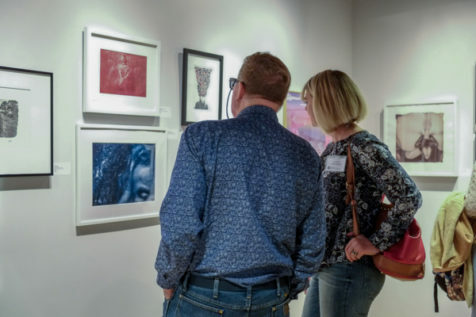 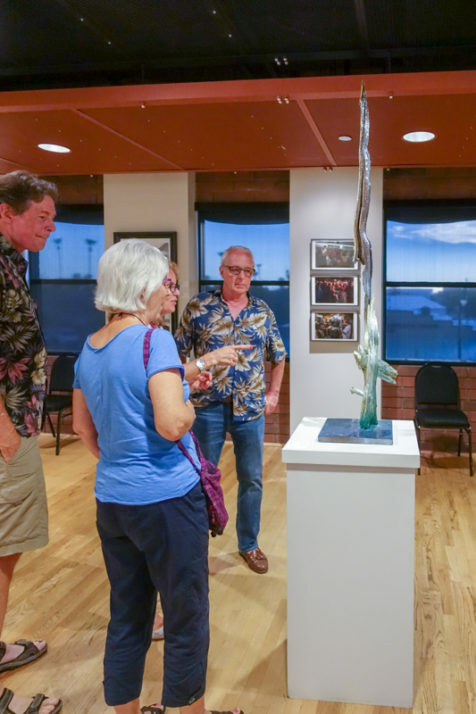 This year’s opening artist reception was the best ever in the eight years of Emerge, our annual exhibition featuring works from student photographers enrolled in Arizona high schools, community colleges, art schools, and universities across the state. 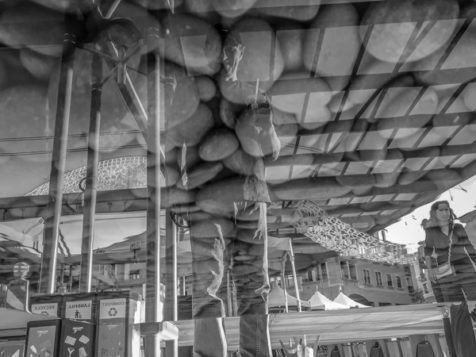 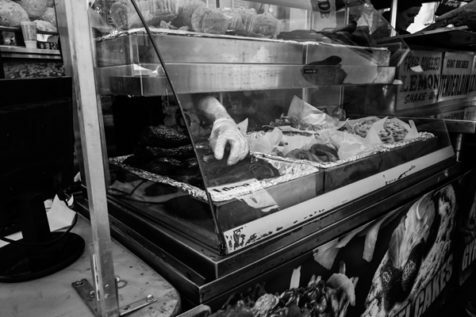 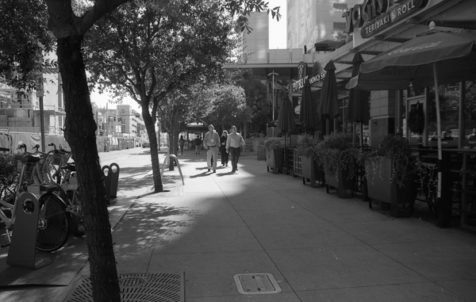 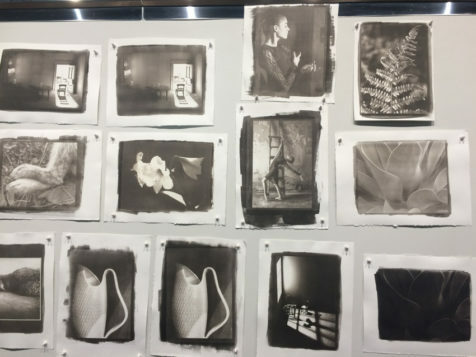 Ashley Czajkowski, a local photography-based artist and educator, juried this year’s show. 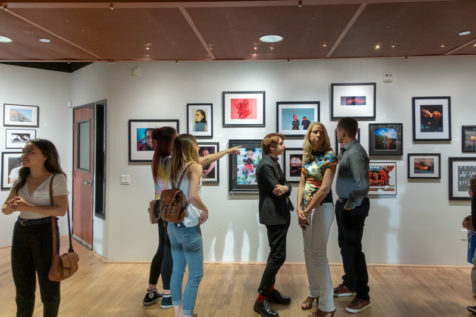 In this exhibition we offer student photographers an opportunity to show their work in a professional gallery, fulfilling our mission to support early-career photographers. 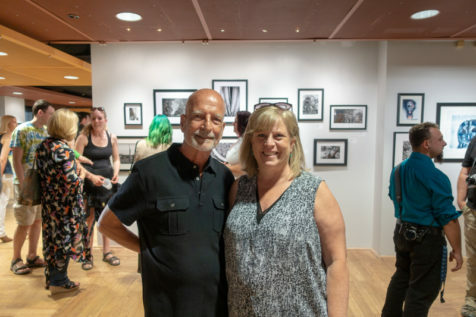 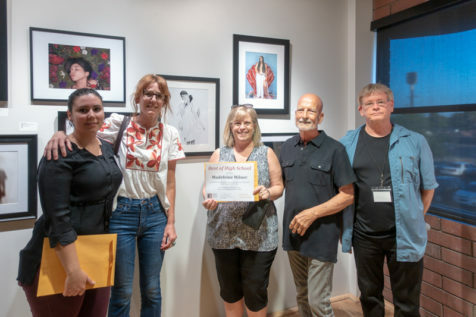 In addition to the month long exhibition, prizes were awarded for Best in Show, sponsored by Through Each Other’s Eyes; Best of Post-High School, sponsored by Charlene Stant Engel; and Best of High School, sponsored by Kelly and Dennis Collins. 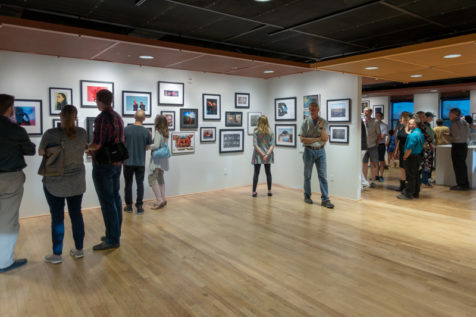 Many photographers were acknowledged with Honorable Mentions. 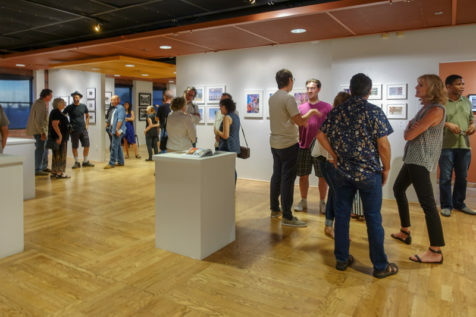 You can see all the awards and works in this exhibition at this link. 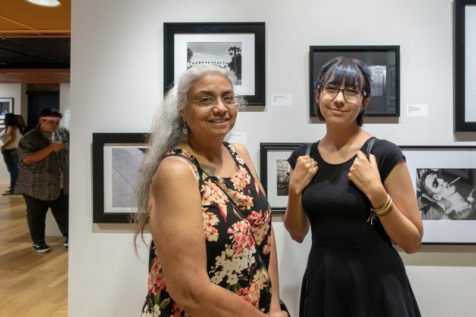 Best of Show went to Elizabeth Pineda, student at ASU, and is presented by Art Holeman representing Through Each Others Eyes. 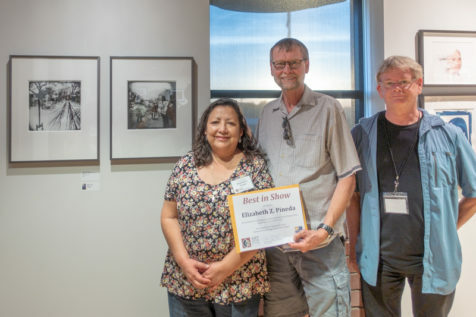 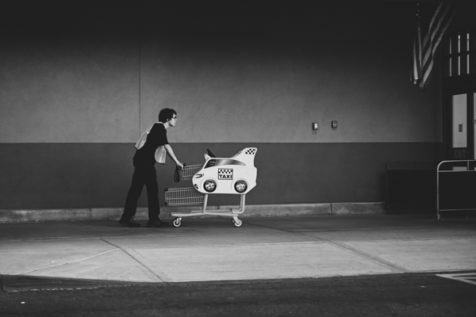 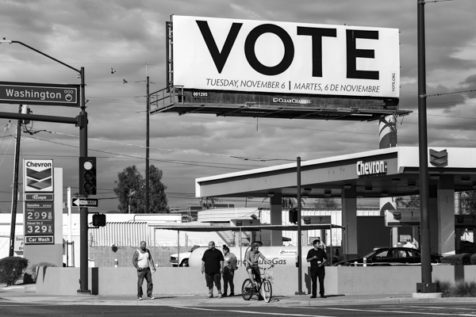 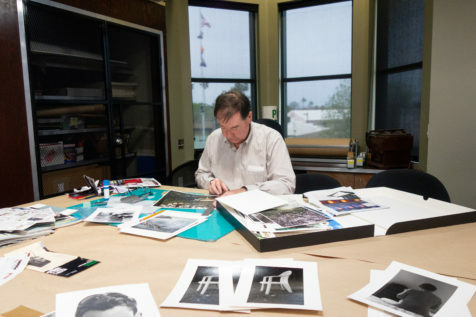 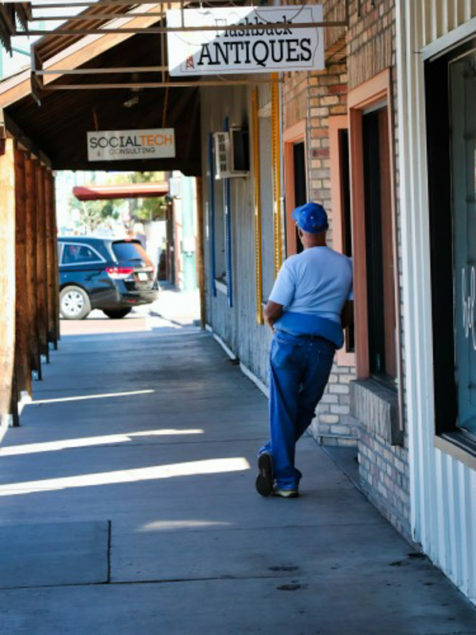 Best of Post High School was awarded to Stephen Shawl, student at Pima Community College, Tucson. 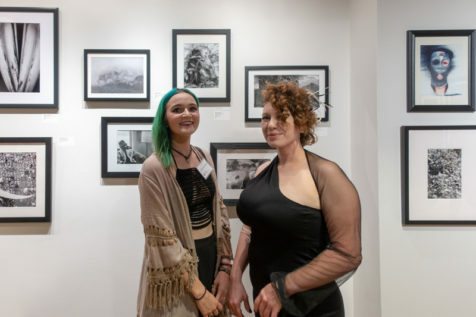 Charlene Stant Engel sponsored this award. 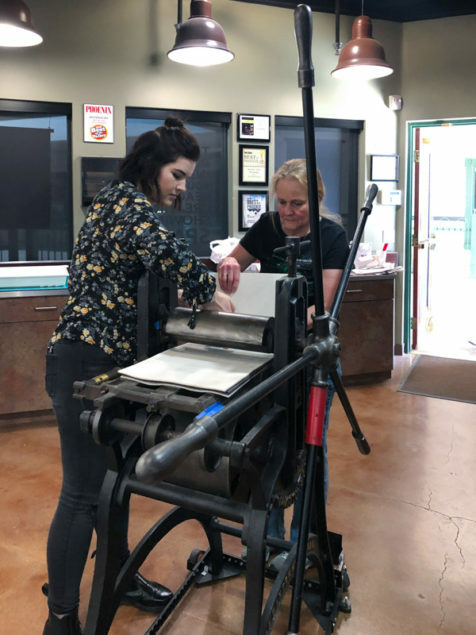 Best of High School award was given to Madeleine Milner, a student at Gilbert High School, Gilbert. 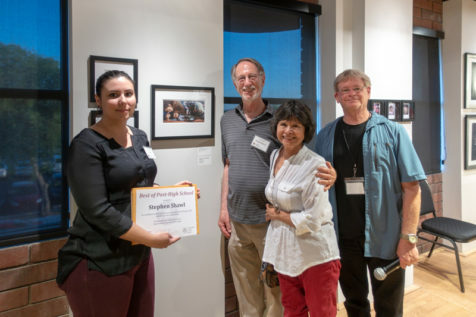 Kelly and Dennis Collins sponsored the Best of High School award. 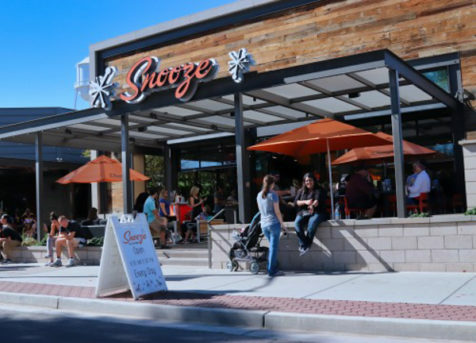 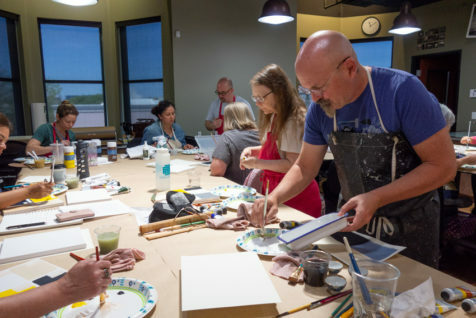 We stepped outside of our comfort zone for Beyond the Tube: Mixing Color with Andy Burgess, and boy, are we glad we did! 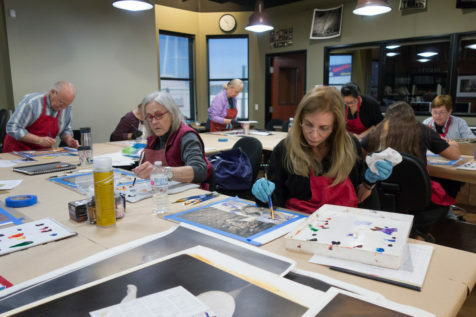 In this dynamic class, Andy led our participants through several exercises in mixing and applying color to form abstract shapes, exploring the complicated relationships between colors. 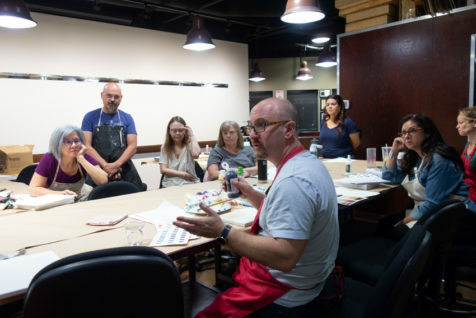 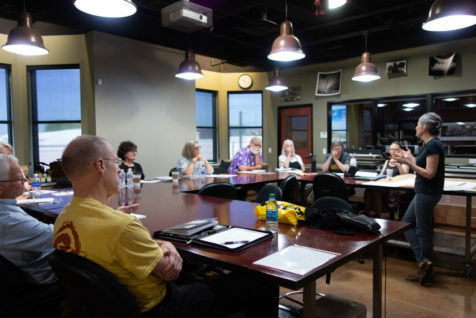 Andy pushed his class to focus on subtlety and simplicity, and they took great care to control their work while openly experimenting. 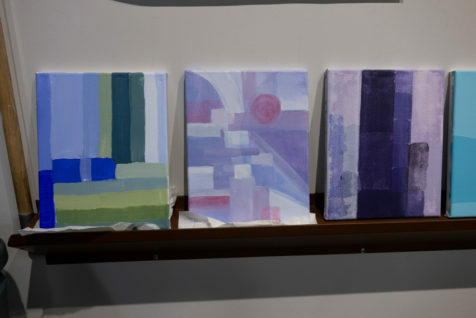 The results were beautiful, playful paintings! 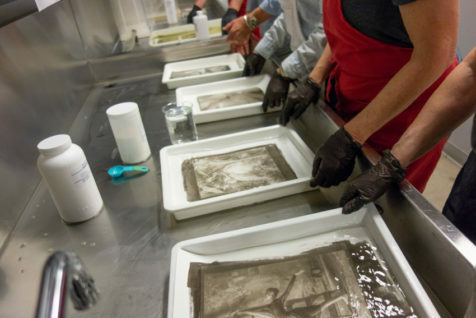 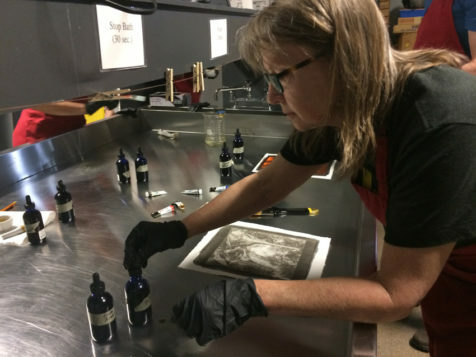 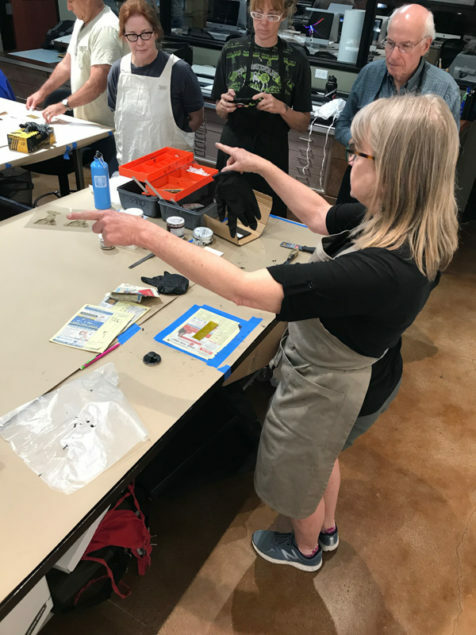 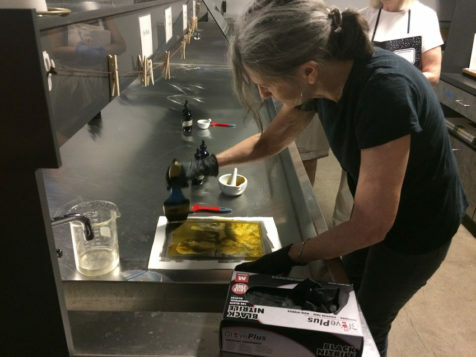 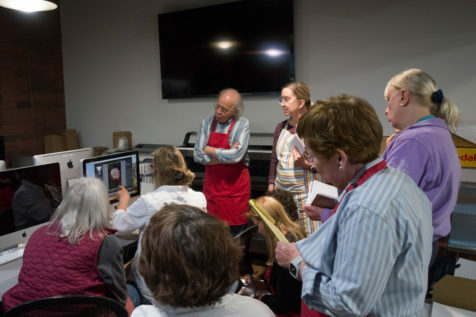 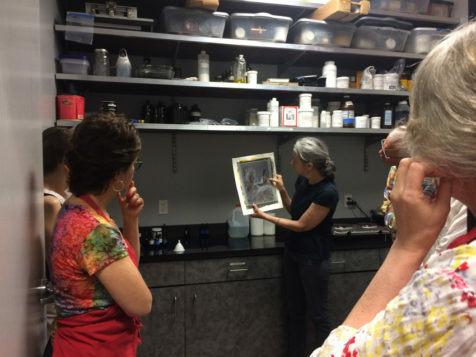 Our Gum Bichromate over Platinum class with Diana H. Bloomfield was a hit! 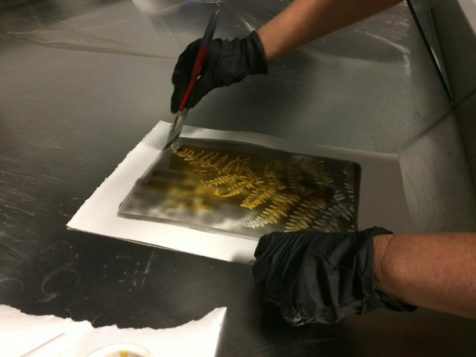 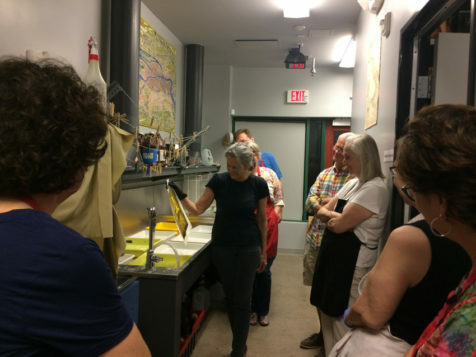 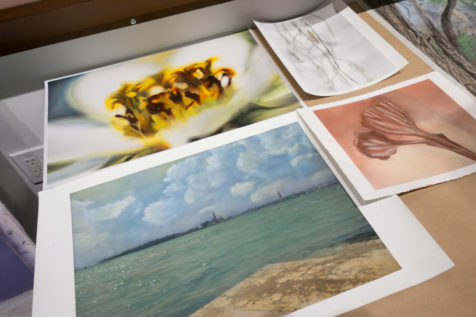 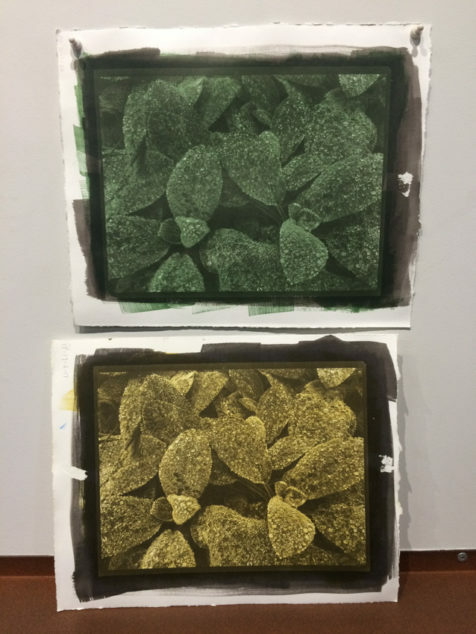 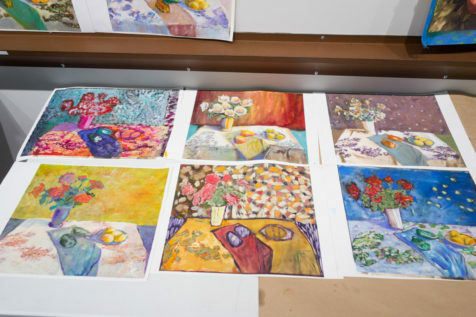 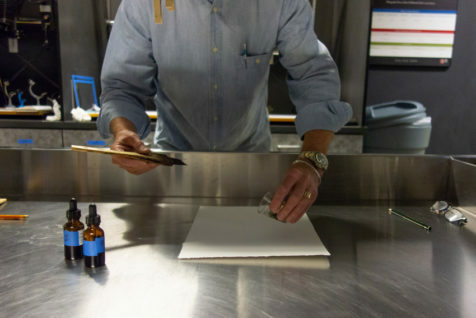 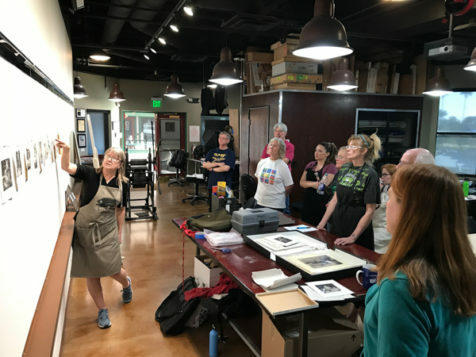 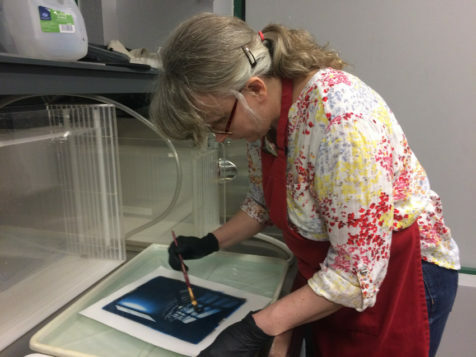 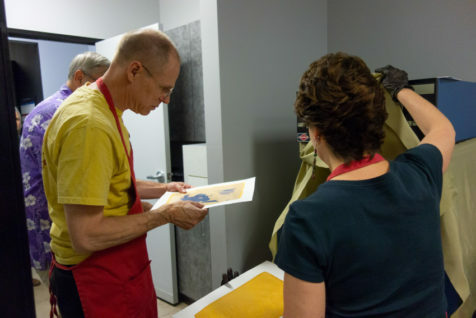 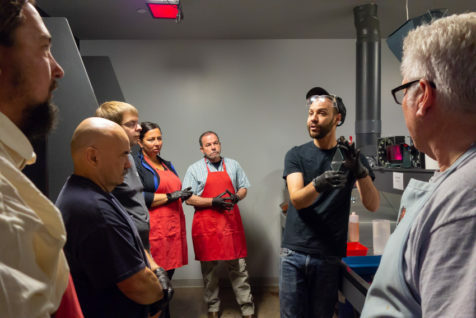 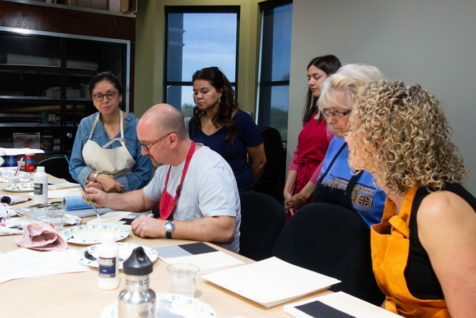 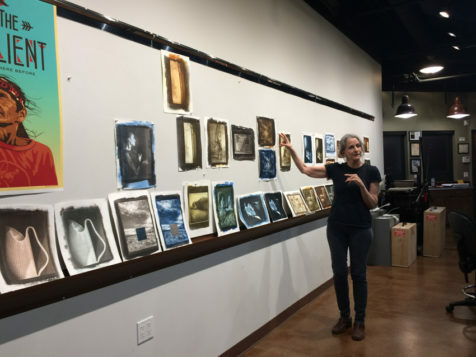 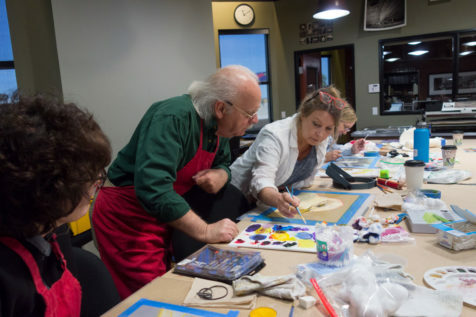 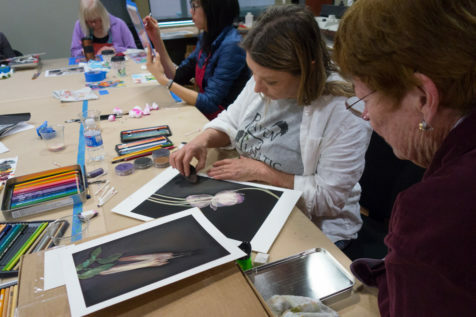 This two-day class led our participants through not one, but two beautiful hand-coated processes that combined together created stunning, unique prints. 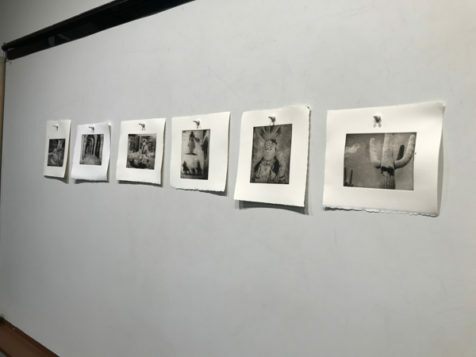 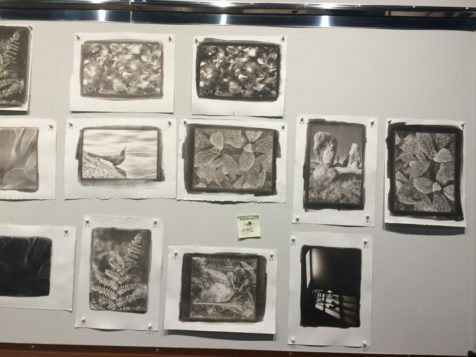 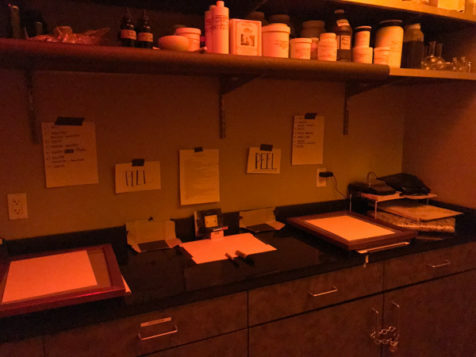 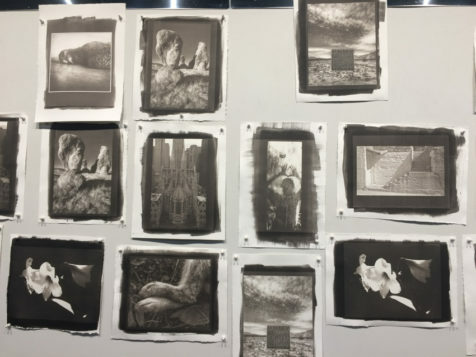 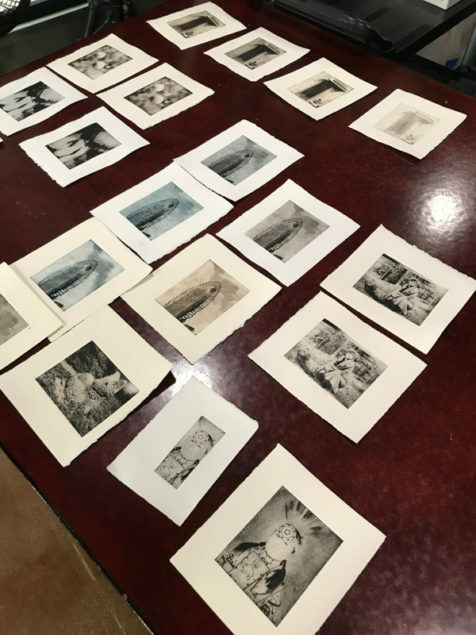 During day one our students made platinum/palladium prints of their images, which were beautiful on their own; in day two, they added a layer of gum bichromate over the top and made an additional exposure, which took their prints to another level. 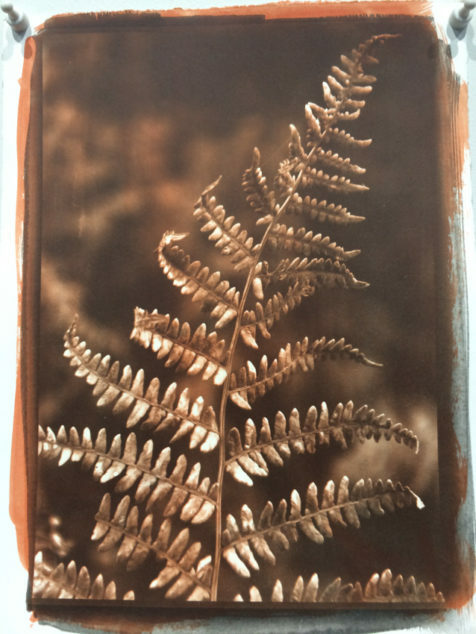 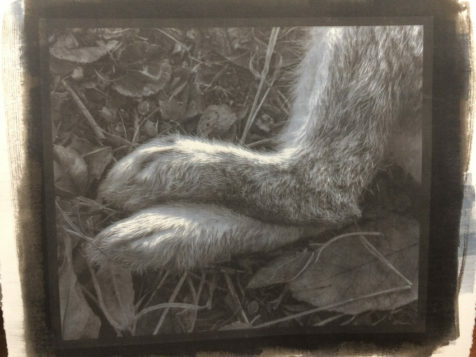 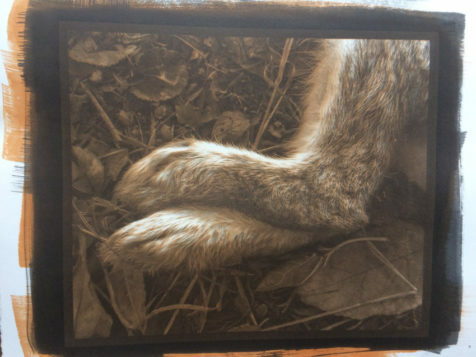 The end result is a cross-processed print with the sharpness and tonality of a platinum print, but with a color wash and additional details from the gum bichromate! 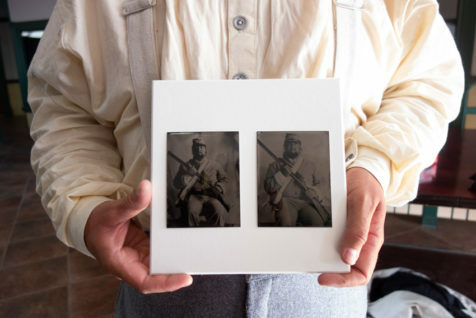 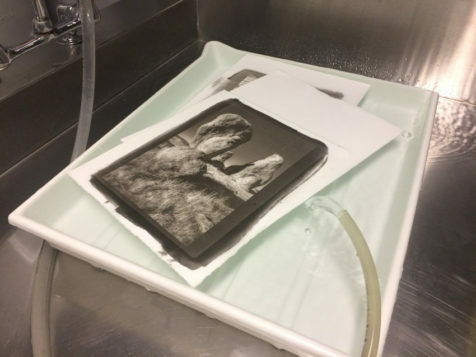 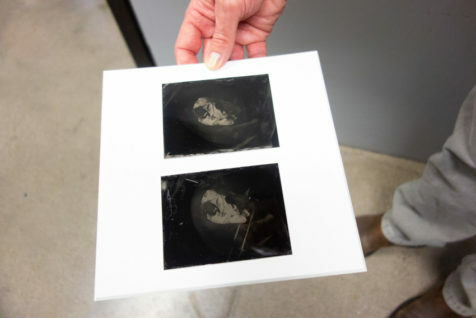 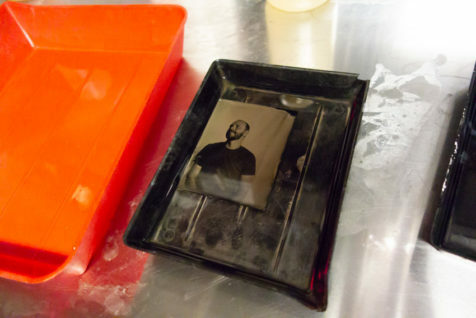 We brought another alternative process classic back to Art Intersection – Wet Plate Collodion! 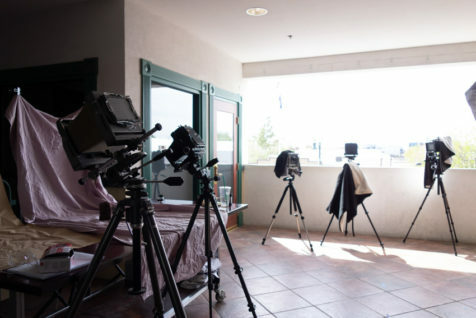 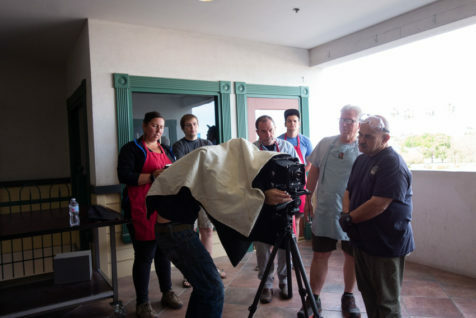 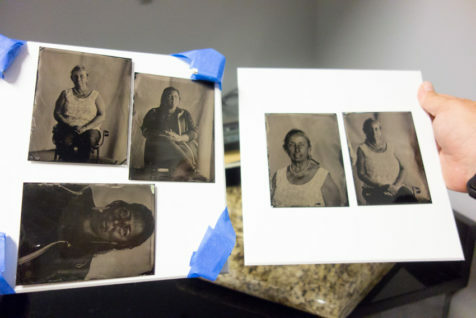 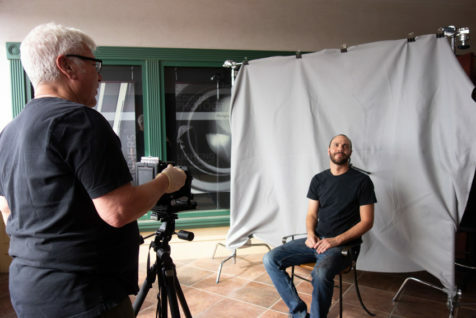 Our tintype workshop led by David Emitt Adams this March was our best one yet. 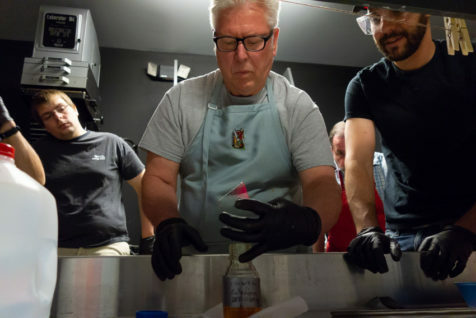 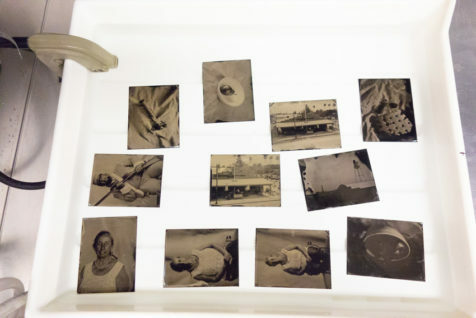 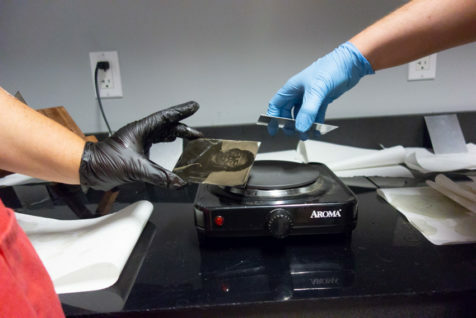 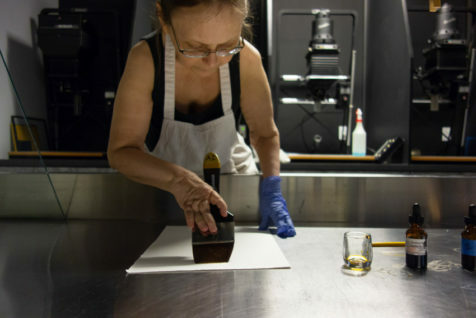 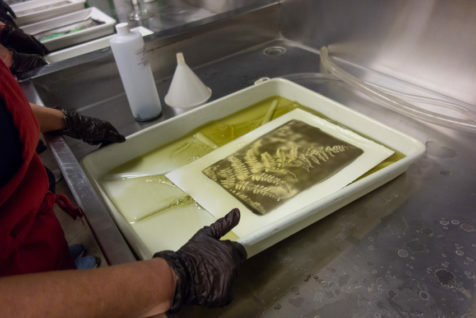 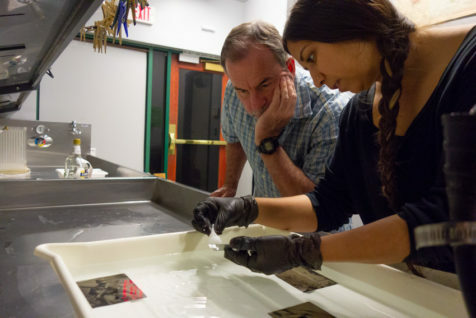 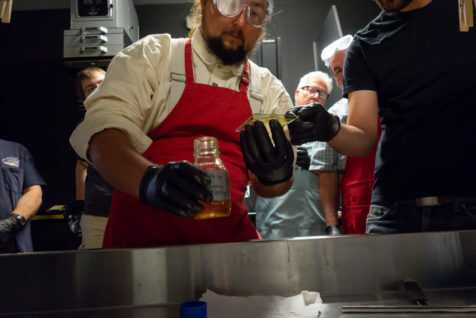 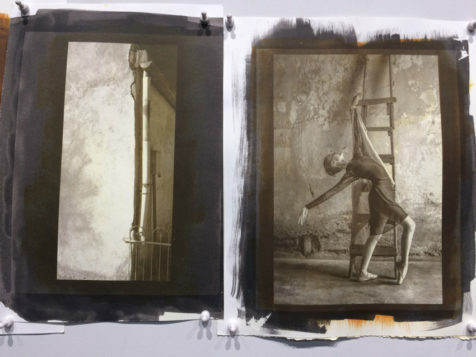 This group perfected the art of pouring collodion onto metal plates, sensitizing with silver nitrate, making proper exposures, and finishing their plates as beautiful photographic objects. 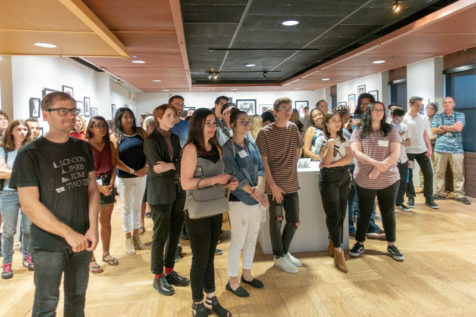 Great work, everyone! 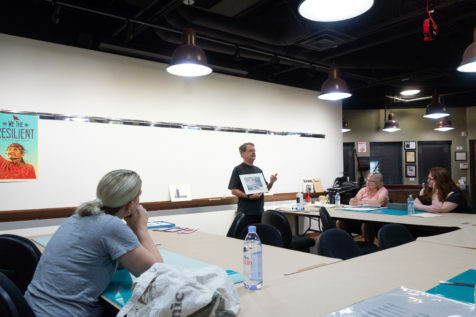 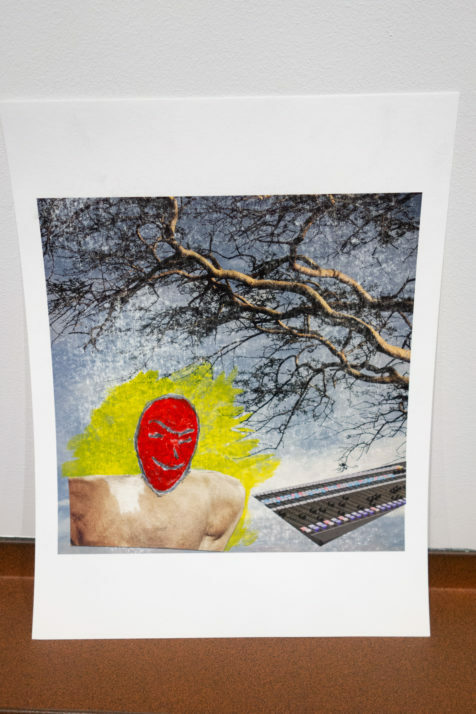 Our students got experimental in The Altered Photo: Photography and Mixed Media with Ron Bimrose! 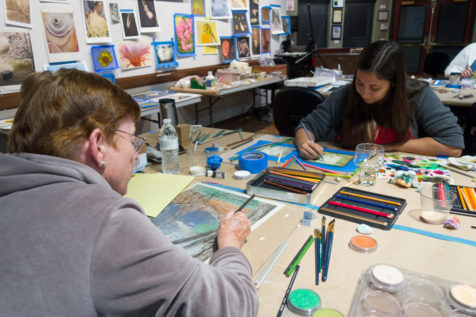 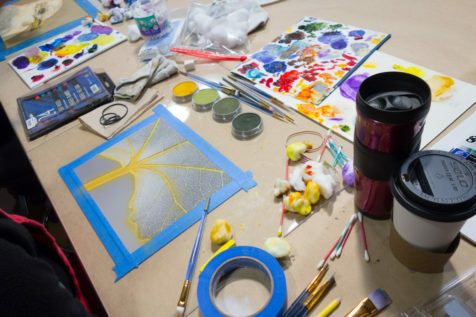 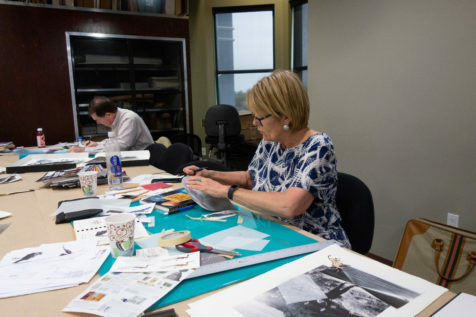 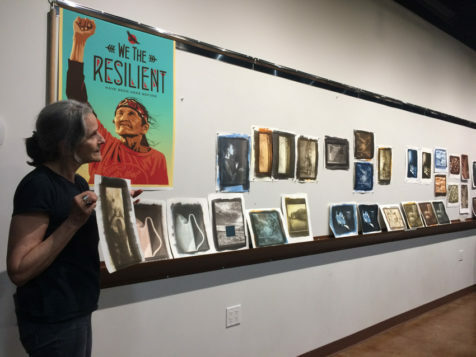 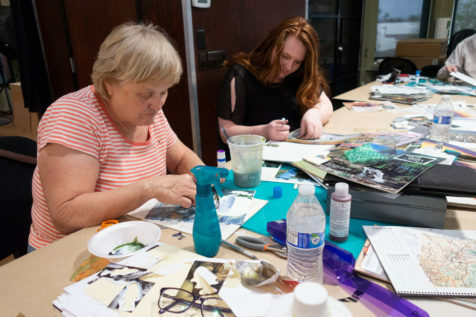 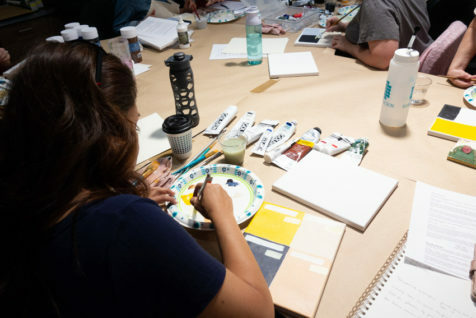 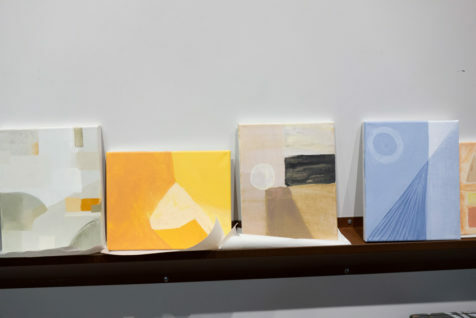 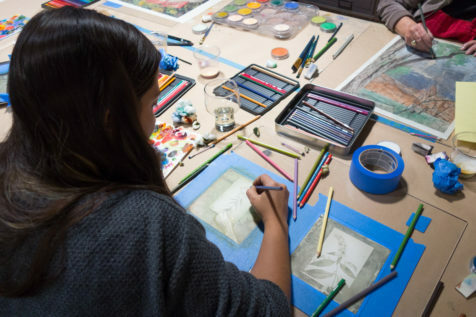 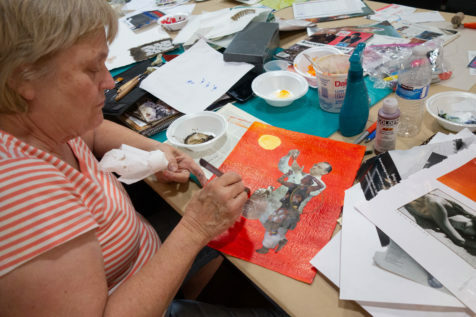 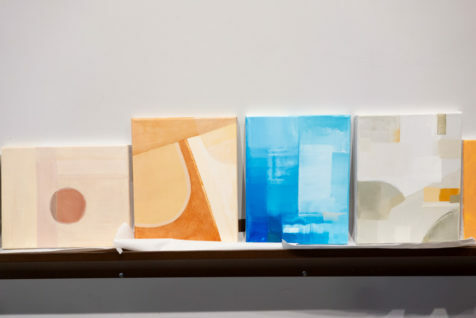 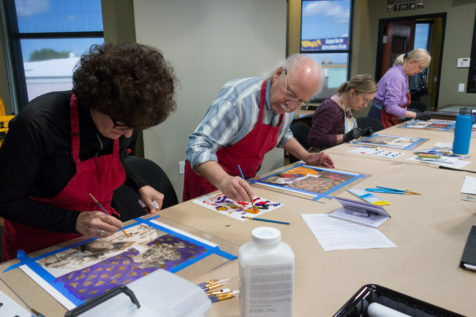 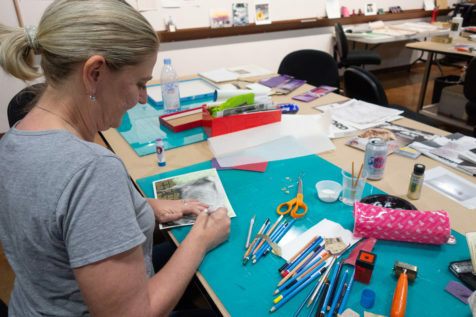 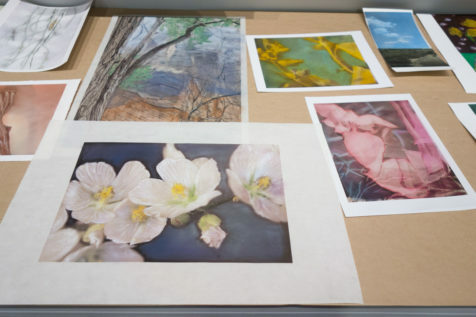 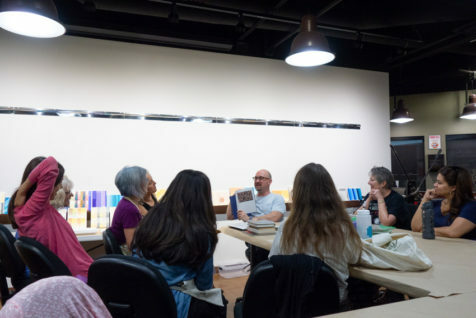 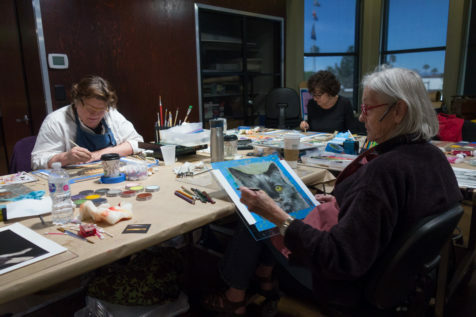 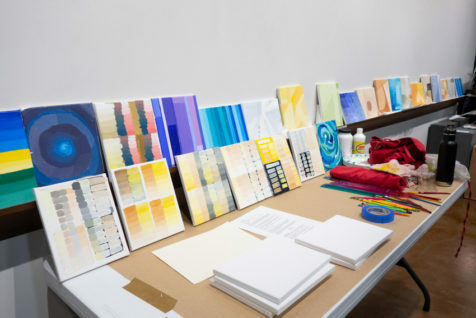 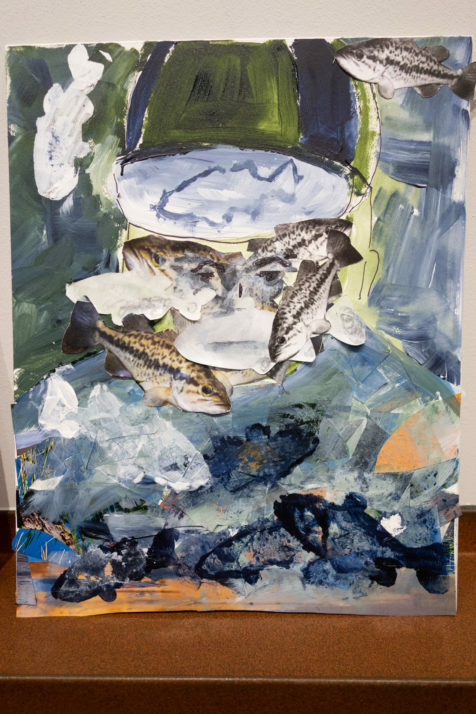 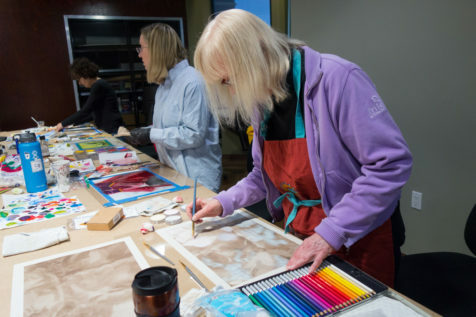 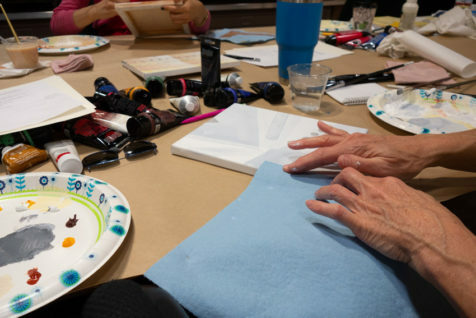 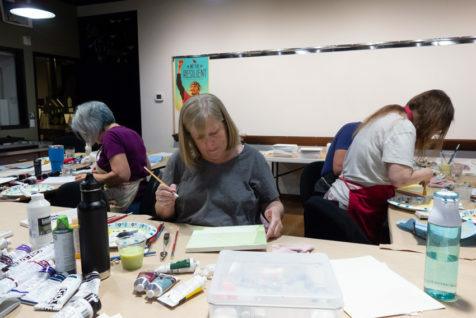 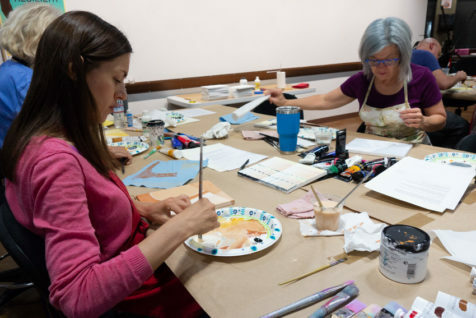 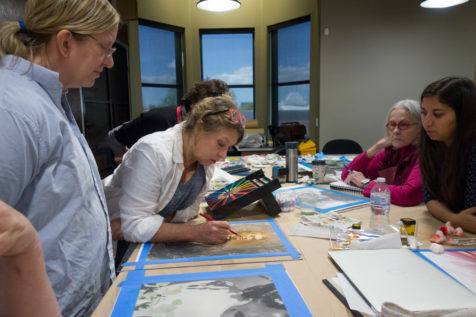 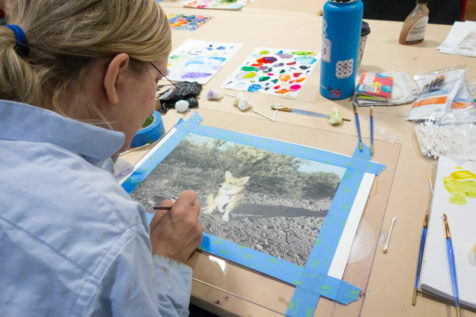 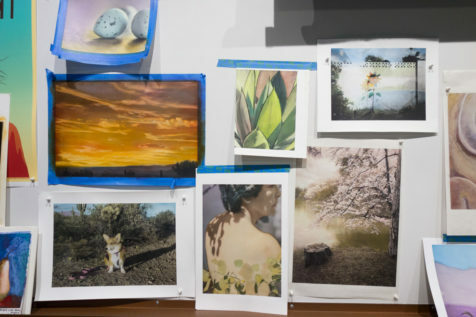 This class explored image-making by combining existing imagery and different subtractive and additive hand-altering effects like sanding, painting, and drawing. 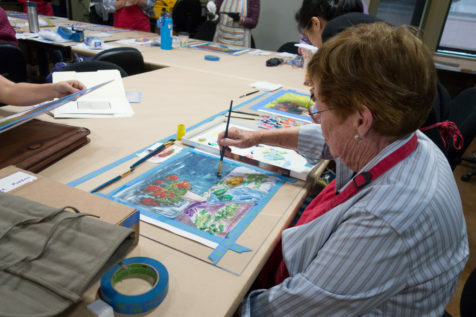 The class had fun learning new techniques and letting their imagination run wild as they created their pieces. 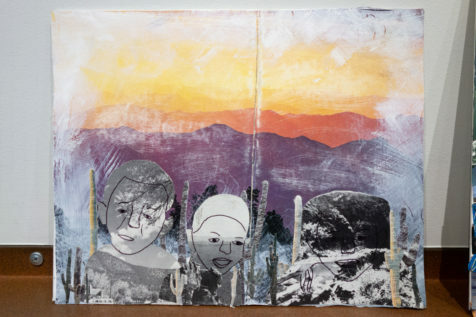 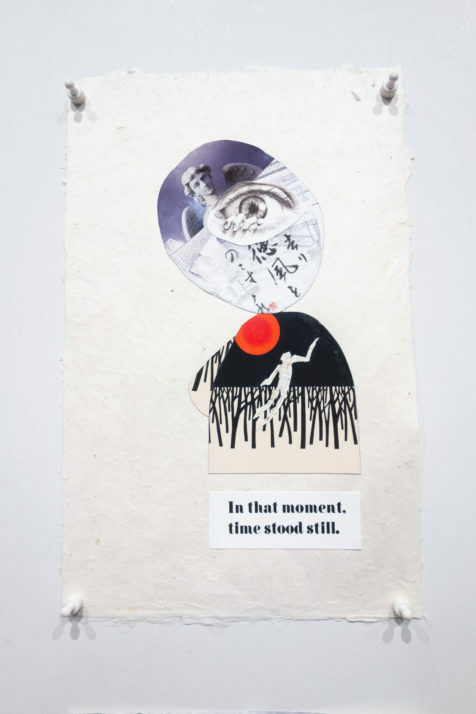 The mixed-media, collaged results were truly fascinating!